Provocateur, father of realism, and a man of complex personality, Courbet was also an excellent landscape painter for whom nature was his principal inspiration. It is not by chance than two thirds of his production consists of panoramas, scenes, glimpses, horizons, and rural landscapes, in which nature is the subject. 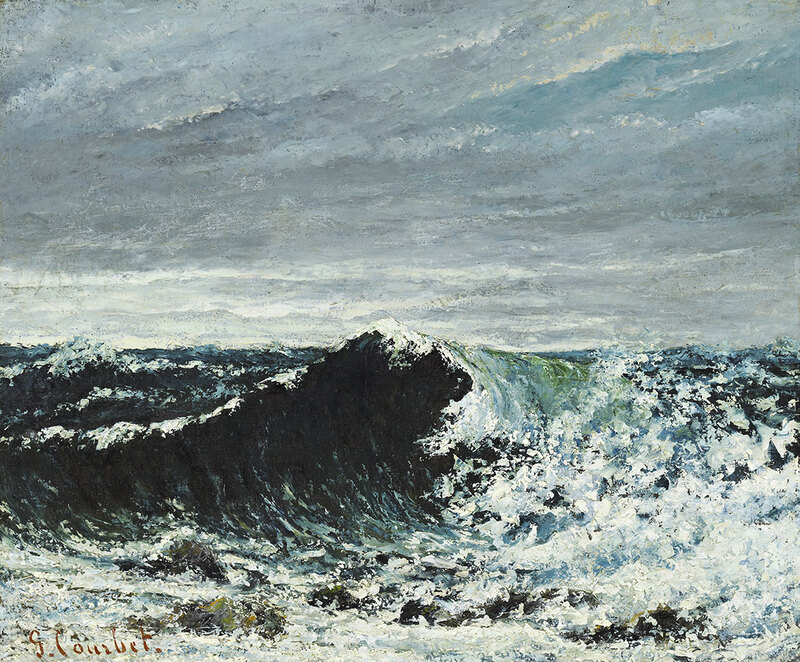 Gustave Courbet returns to Italy 50 years after the last show dedicated to him. Palazzo dei Diamanti pays tribute to him with an important retrospective that follows the career of the great French master, exploring in depth his ample production of landscape paintings and his unique relationship with nature. The exhibition will present about 50 works coming from some of the most important international museums and lead the visitor through an exciting itinerary: from the views of his native Franche-Comté painted in his youth, to the spectacular seascapes, often tempest tossed, to the mysterious grottos where springs bubble forth in Karst caves before widening into streams, from sensual nudes immersed in lush greenery to striking hunting scenes, up to the powerful masterpieces of his maturity. Image caption: Gustave Courbet. The wave, c.1869. Edinburgh, National Galleries of Scotland.